The legendary Bradbury Building in downtown Los Angeles is a study in opulence. Our founder, James, gazing through the ceiling’s glass dome, thought it fitting to match such architectural flare with decadence on the plate. 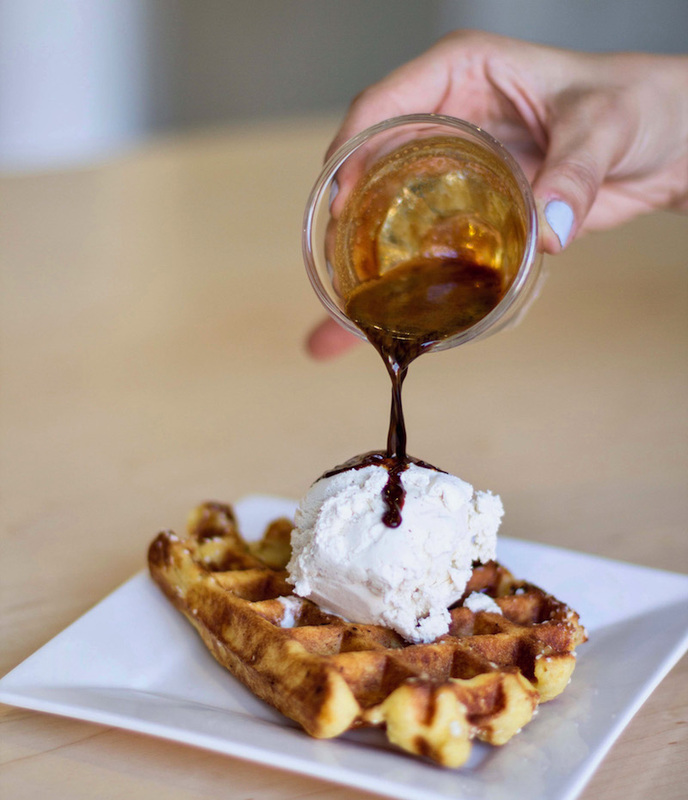 So, in addition to our ever-popular affogato, a standard on most of our menus, we’ve added three wafel and ice cream desserts and two floats. Depending on your appetite, this new menu has a wafel for every mood. All start with our Liège wafel, which uses pearl sugar to make the exterior crispy with caramelized bursts. To that, you could try a measure of indulgence with scoops of ice cream, or go one step further, with chocolate drizzled on top. 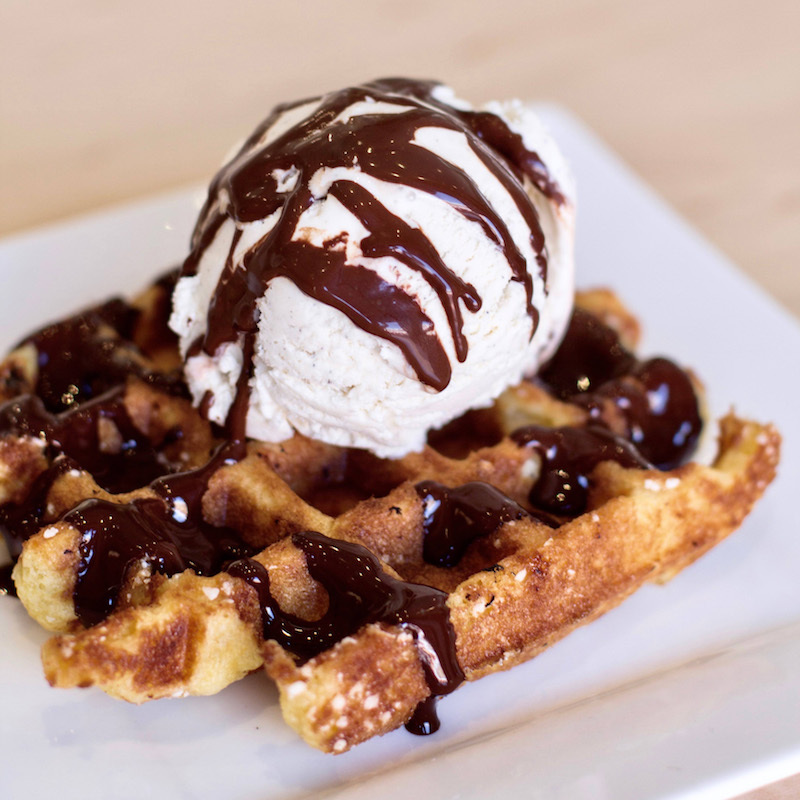 If that isn't enough, try the Wafelgato, where the most adult of combinations, ice cream and espresso, mingle and soften the wafel’s crisp exterior. Our floats are a natural extension of our Cold Bar, where zero-proof cocktails demonstrate the indomitable spirit of coffee, which welcomes any flavor. The Oji Float, with the simple addition of ice cream, amplifies the jasmine florals in our Oji Old Fashioned, while the New Orleans Float propels our chicory-infused coffee into a celebration as boisterous as a sauntering brass band. If we seem excited, it’s because we are. Summer is here and ice cream and coffee are two of our favorite things. 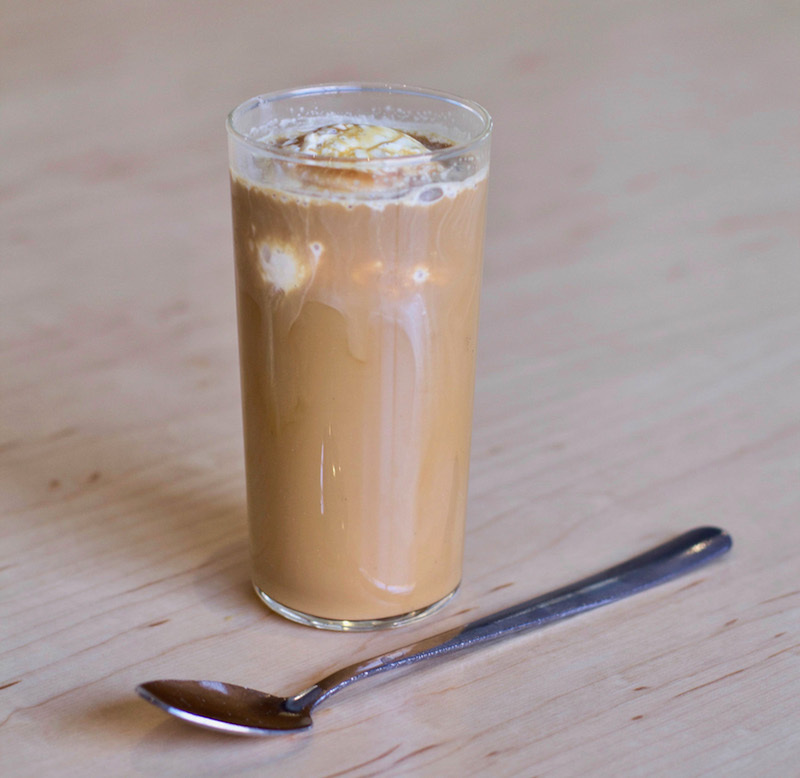 Come by our Bradbury cafe, or try your hand at making the NOLA Float (recipe below). Pour NOLA concentrate into a glass, and add the vanilla ice cream. Top it off with whole milk. Enjoy. Food styling by Felicia Heykoop. Photographs by Rose Bridges.